← Hover the images (move your mouse over) to view the attached descriptions. 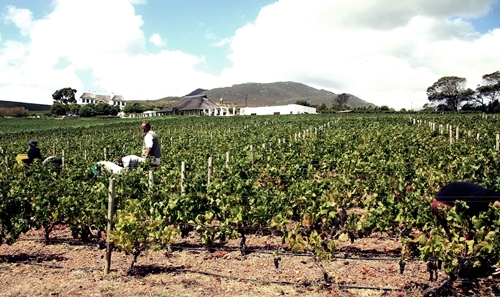 The Hemel-en-Aarde Valley lies just behind the coastal town Hermanus, 120 km east of Cape Town. 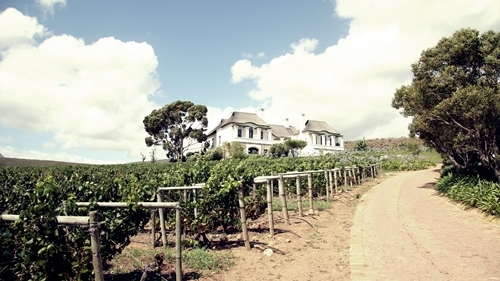 The terroir is well suited for Pinot Noir and Chardonnay, with some of SA’s finest producers represented. 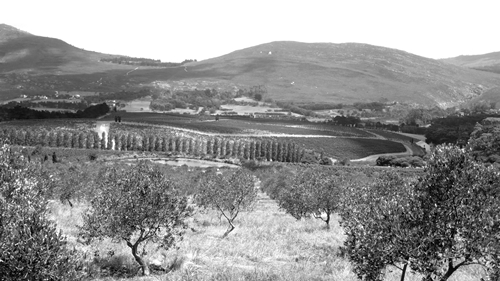 Moreover have Rhône styled wines from the region also gained a reputation over the recent years. 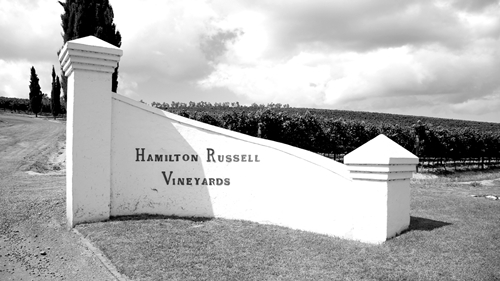 Hamilton Russell Vineyards is a legend in SA. Now replanted using the best Bourgogne clones, quality is better than ever. 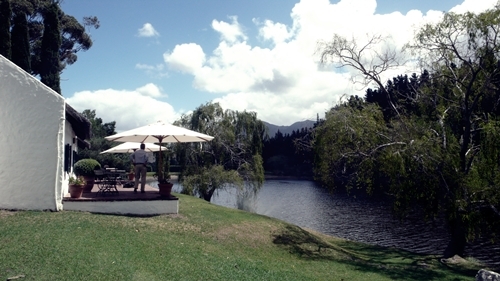 Their iconic tasting facilities with stunning views of the small lake. 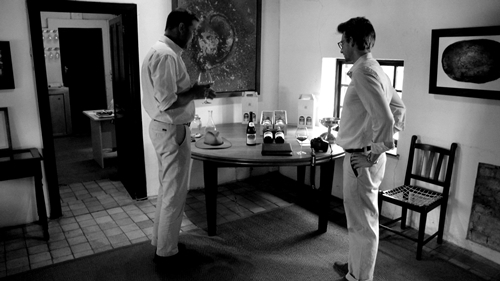 Anthony Hamilton Russell (left), is the current proprietor, winemaker (guided by Hannes Storm) and 2. generation. Here giving us a sample of the current vintages of their famous Pinot Noir and Chardonnay. 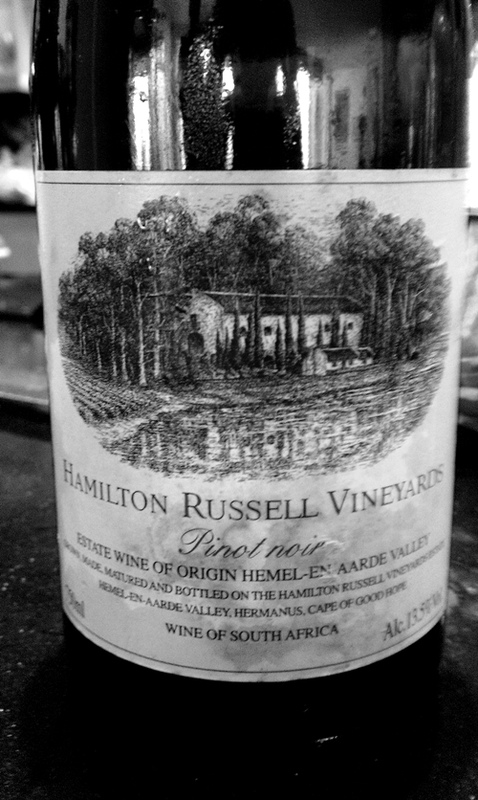 Their Pinots really are addictive. Here the 2010. To get the full picture one should also spoil themselves to eg. the 2007 and 2009 vintages. 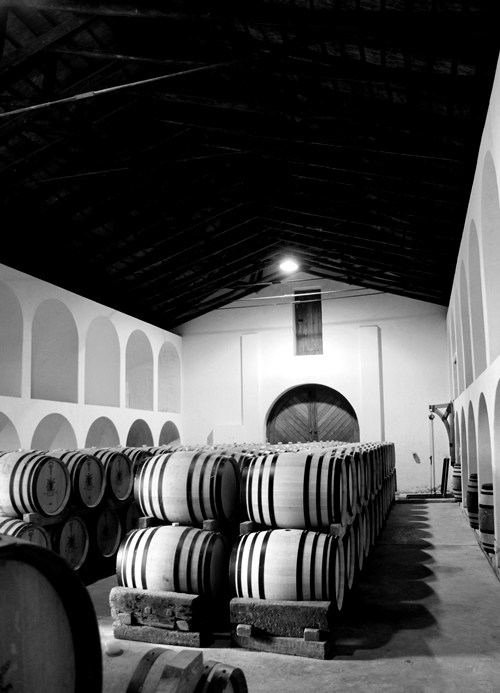 HRV’s cooled barrel room in their Cape Dutch styled barn. 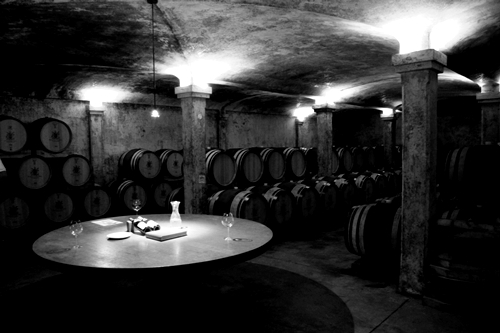 The atmospheric cellar of Hamilton Russell Vineyards. 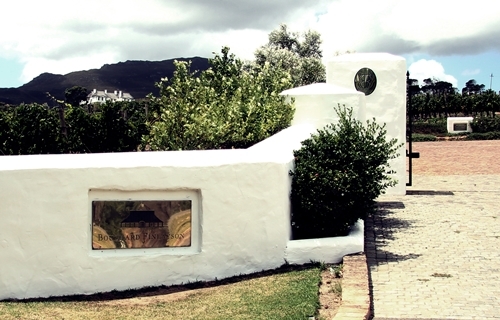 HR’s scenic drive from the Hemel-en-Aarde valley to Hermanus. 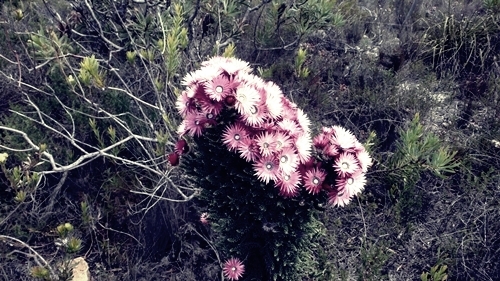 Example of SA’s rich flora. 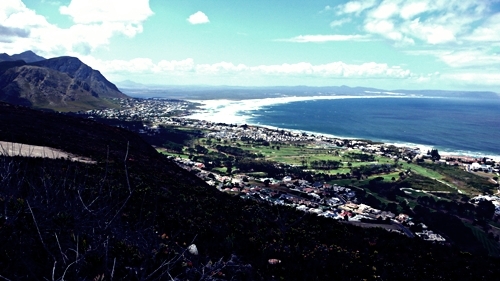 View over Walker Bay and Hermanus from the peak. 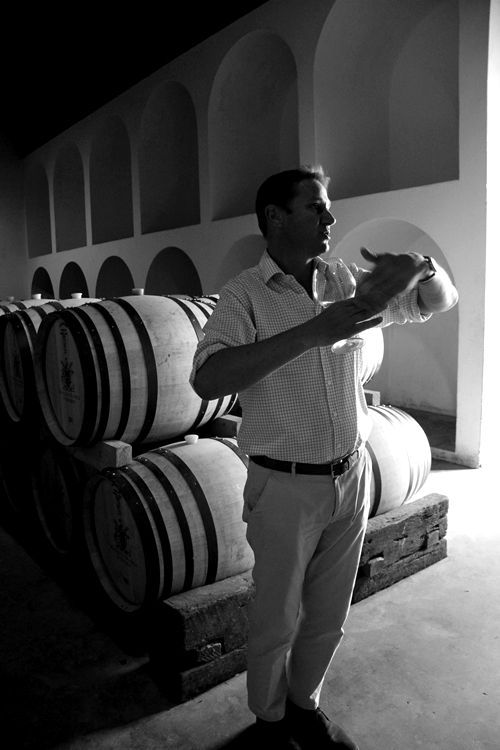 Neighbouring HRV is the equally famous Bouchard Finlayson. 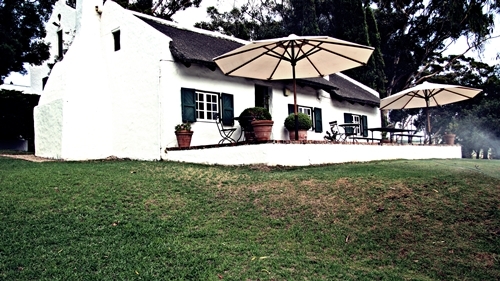 Bouchard Finlayson’s private guest manor. 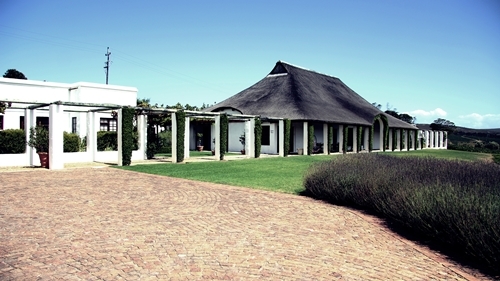 This stunning building houses BF’s winery, cellar door and offices. 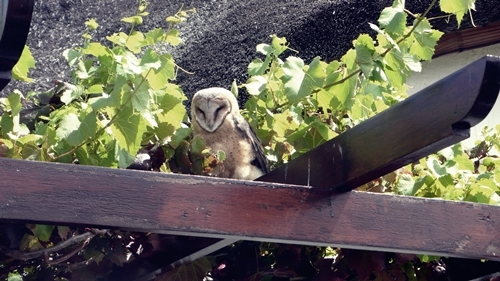 An owl that was also visiting BF while we were there. 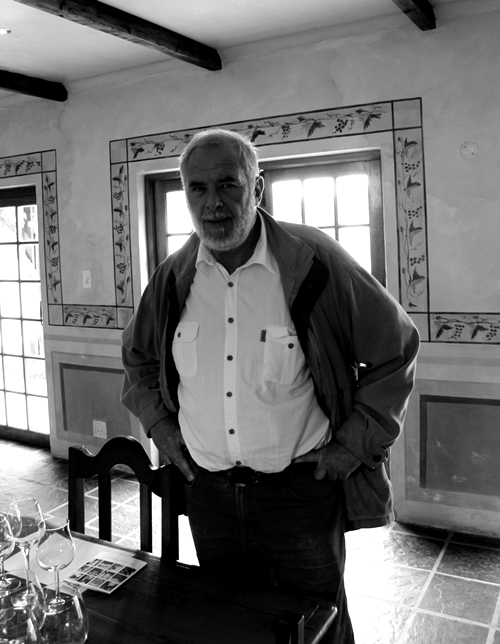 The warm and modest winemaker, Peter Finlayson, taking us through a tasting of their portfolio of famous Pinots, Chardonnays, (Sauvignons), and their original blend; Hannibal. Fortunately accompanied by a light lunch. 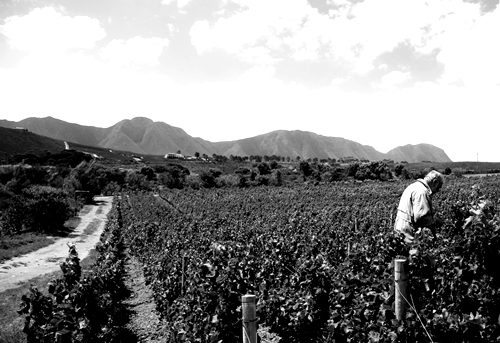 Harvest of the near by Pinot Noir vineyard planted in Bourgogne inspired narrow rows. 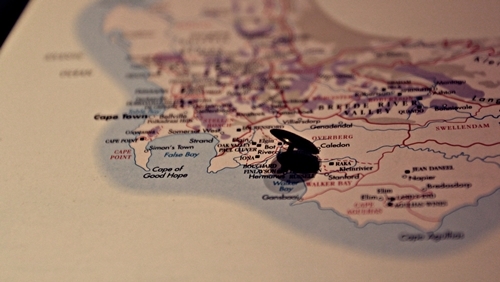 Peter Finlayson and the Overberg mountain far behind.